So I wanted to post this morning, but I couldn’t decide what to post about. I mean did you want to hear about how I caught Beau in the kitchen using a gallon jug of milk (half full) as a machine gun? Would you find our trip to IKEA amusing? I’m sure the ‘stagers’ at IKEA were not amused…Henry tried out every ‘made’ bed in the place! 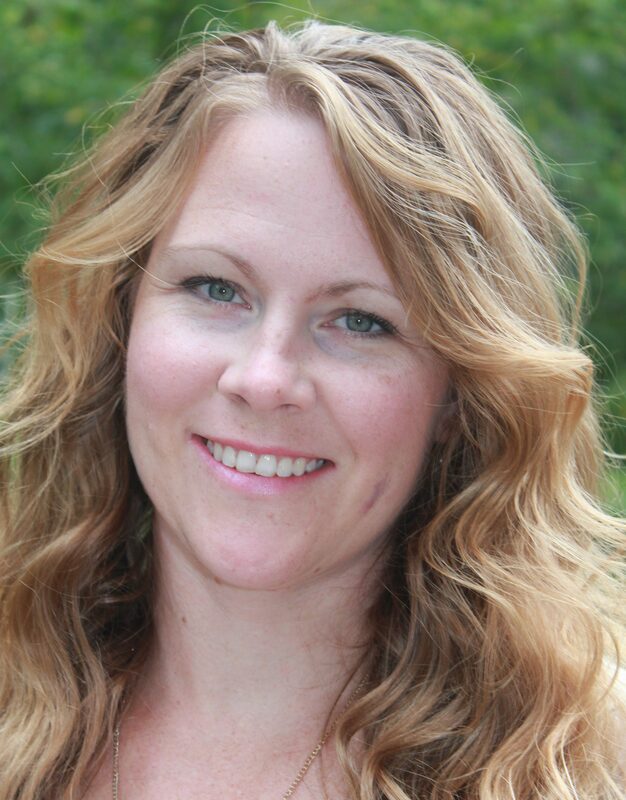 Should I tell you about our first dinner out with the kids since before Nora was born? Would you really want to hear about how it was a sports restaurant that started off with soccer on the screens and ended with extreme fighting (picture me freaking out here) instead? Maybe you’d like to hear about the soccer game that got postponed for 20 minutes 3 times due to lightening & thunder? This particular story would include my having to push a stroller and carry 2 folding chairs and a diaper bag across 2 grassy fields (you have no idea how hard this is until you are actually carrying the baby in one arm and pushing the stroller with the other)! Maybe you’d like to hear about how when the referee sent everyone to their cars, my son (Henry) managed to get both of his feet caught in a soccer net which sent him into a panic because he thought he’d be left out in the storm? Maybe you’d rather hear about how I nearly took my chances with the lightening outside the car rather than sit any longer in the car with all 4 kids? Maybe I should tell you about the party after the soccer game? The one that included getting the kids in life vests and into the bay and then 2 minutes later pulling them from the water due to thunder! Maybe you’d like to hear about the crazy game the kids played at the party..the one that involved cans of whipped cream & cheese balls? Let me just say….dried whipped cream and smushed cheese balls is every bit as hard as it sounds to get out of hair! I wonder if you’d be interested in the feathers I keep finding in my house? I’m hoping it’s just a pillow…I’m hoping I don’t find any bones! Did you want to hear about all the light fixtures that are driving me crazy? It seems like every day something either burns out or just wont work anymore….this includes the ceiling fan/lights in the living room! The boys room is above the living room and every so often we have to re-tighten the bulbs and shades because the boys have shaken them loose! Quick question….. How does a front door knob & lock manage to break and unscrew itself from a door? If you know the answer to this let me know, because nobody around here has any idea! I’ll show you what I made for the ‘end of the year’ teachers gifts this year! 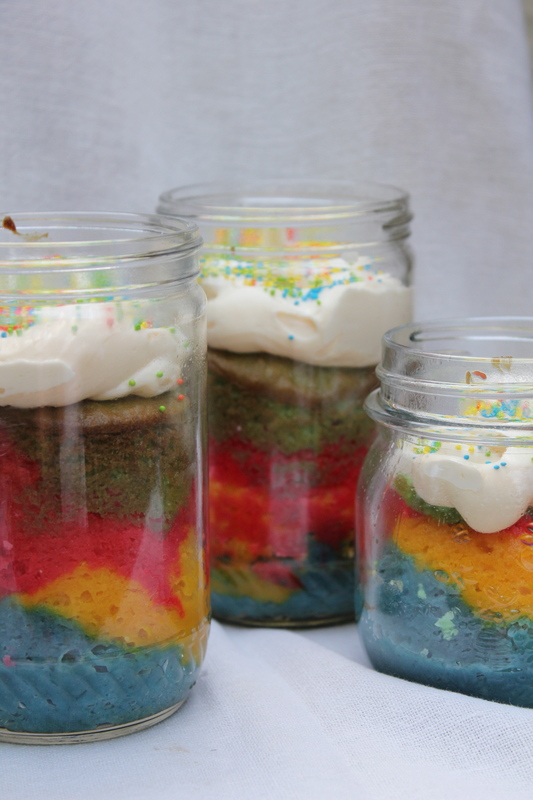 Rainbow Cake in a jar! 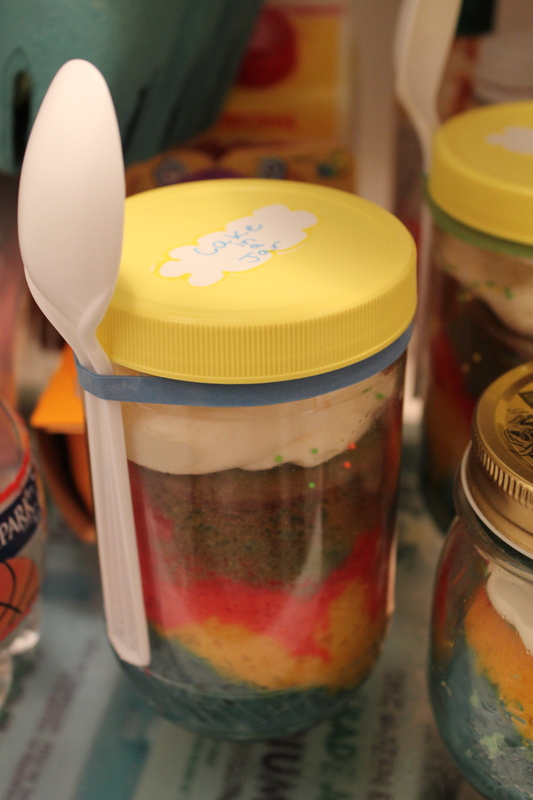 Yes, you see three jars and they only have 2 teachers….I had to try one didn’t I? 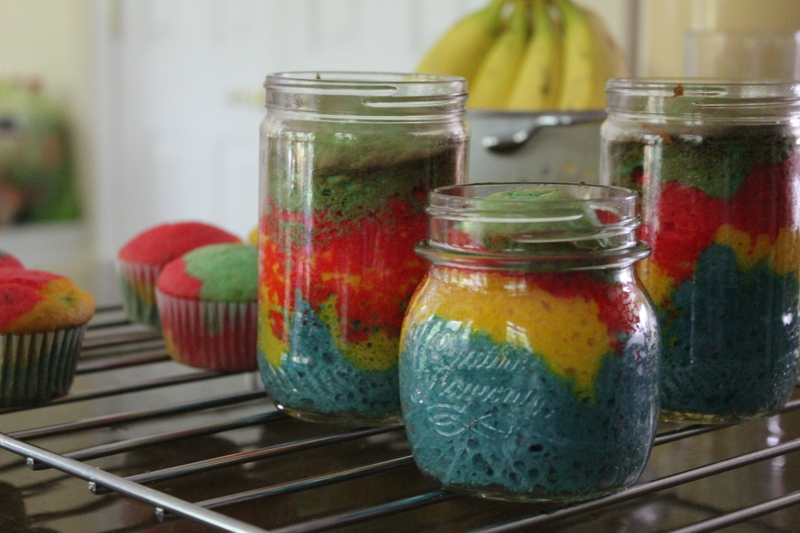 These are really simple to do..just mix up your cake mix and divide and color. Then layer into greased jars, place in a shallow dish with 1/4 C. water in bottom and bake (somewhere between 35-45 min)! Once cooled, pipe on the icing, add sprinkles and refrigerate until ready to eat! I used empty peanut butter jars for 2 of the cakes and it worked great! We just put a large rubber band around the top and added a plastic spoon for the teachers! Who wouldn’t love a jar of homemade cake? Wow – the first part of your post made me tired just reading it! 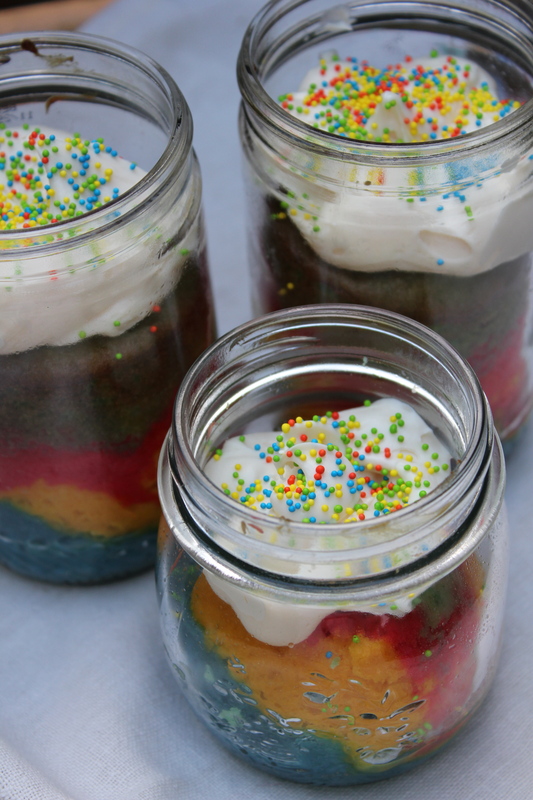 But that rainbow cake in a jar is an adorable idea! Perfect for end-of-the-year teachers’ gifts! “Maybe you’d rather hear about how I nearly took my chances with the lightening outside the car rather than sit any longer in the car with all 4 kids?” Haha! And the rainbow cake is such a neat idea! I think I’m hooked on baking in a jar now! Next up…..either a pecan pie or a fruit cobbler in a jar! 🙂 So perfect for sharing with the neighbors!